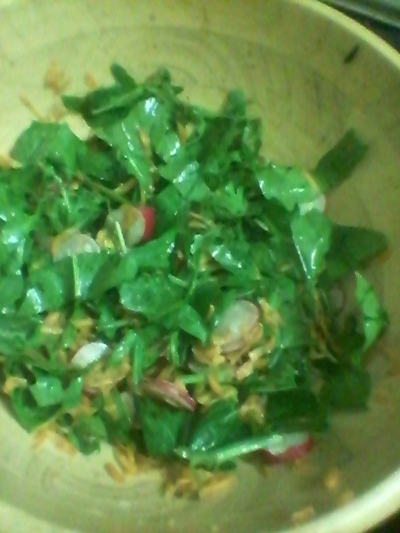 C is for carrots, r is for radishes and g is for greens with my crunchy, crisp and creative traffic light salad. 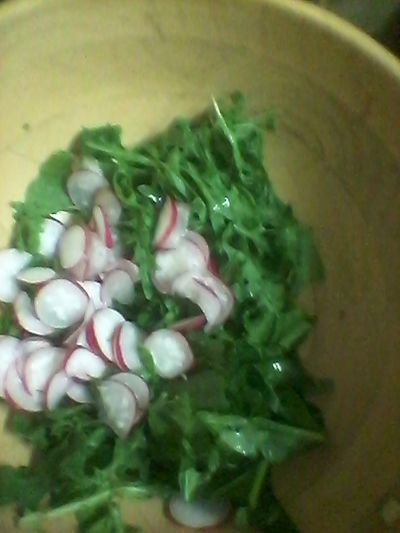 Trust me, little ones love this! 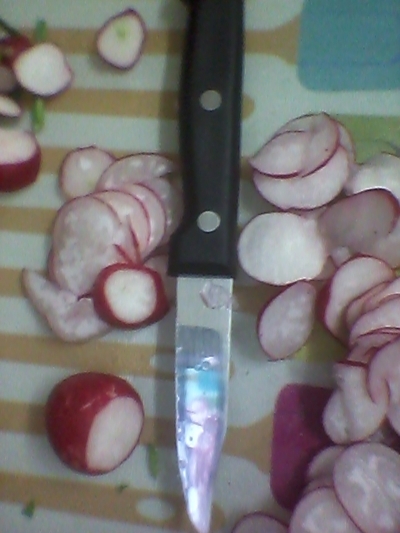 Slice the radishes to equal size. 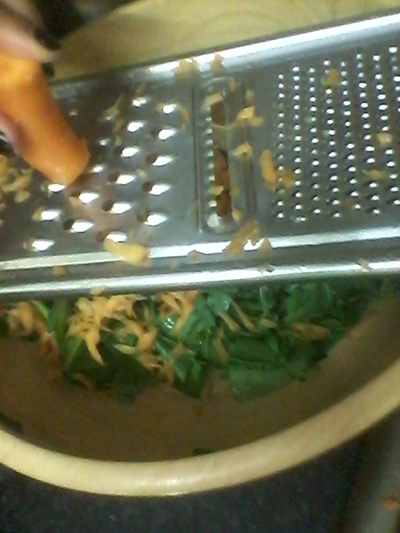 Add to the bowl of washed and torn spinach. 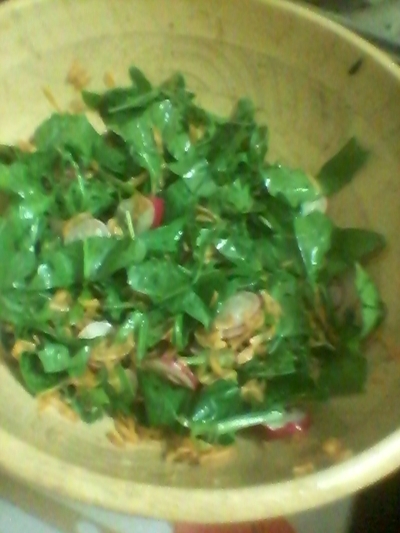 Wash the carrots, scrub the skin and grate on top of the bowl of veggies. 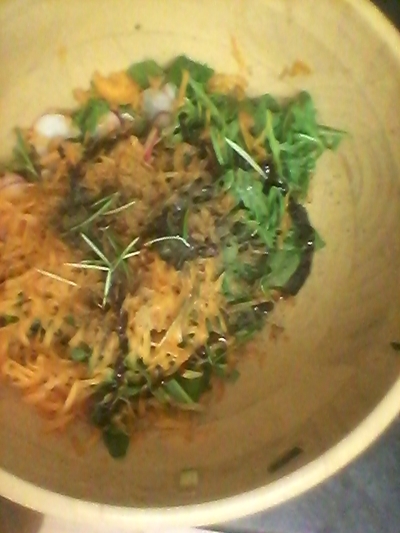 Add the rosemary sprigs, and dressing.